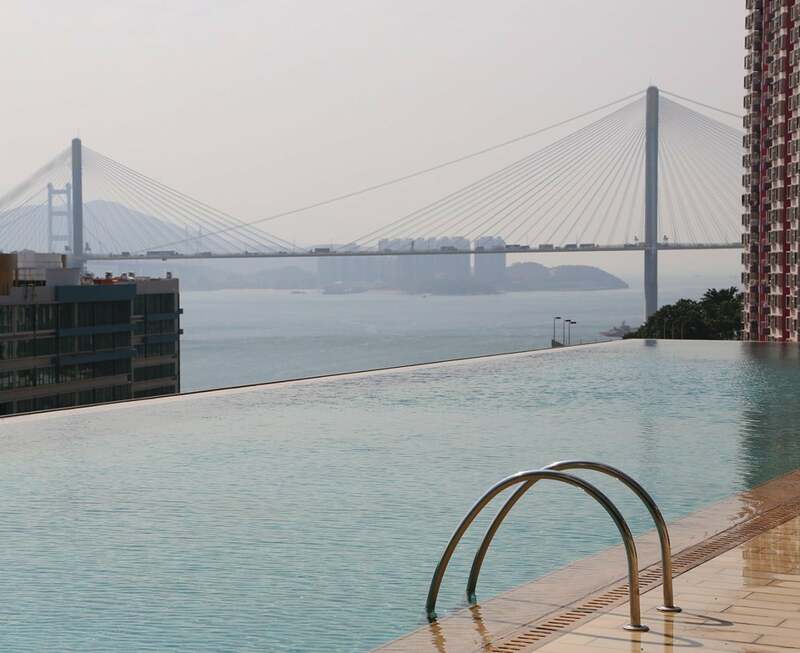 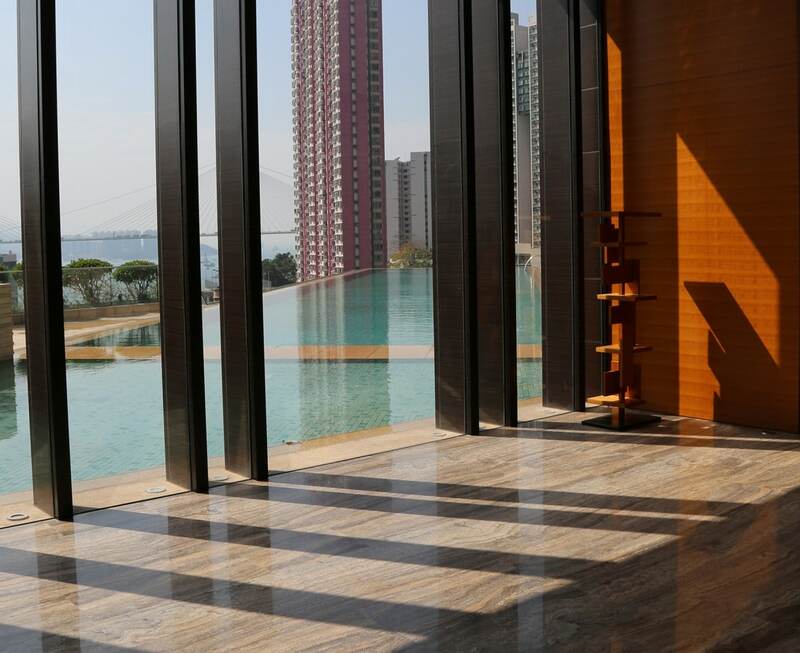 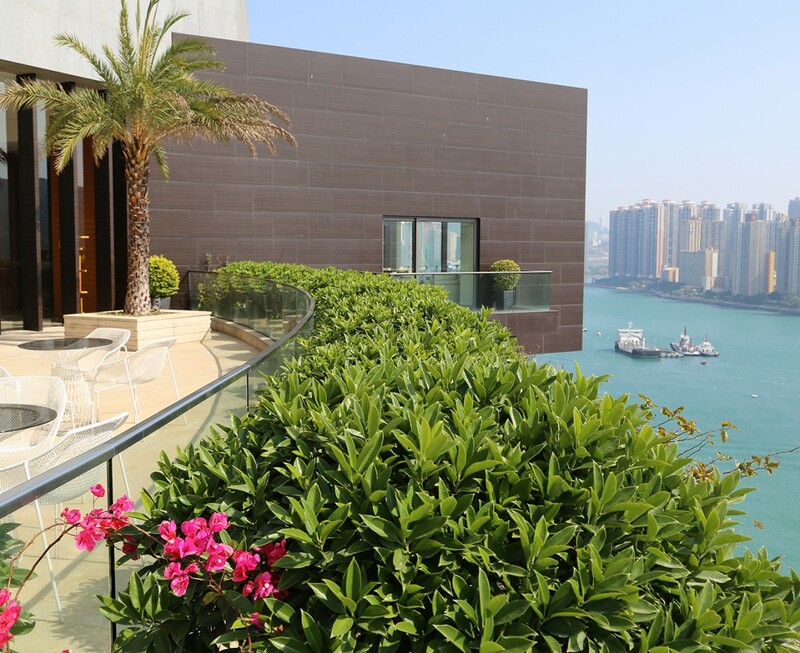 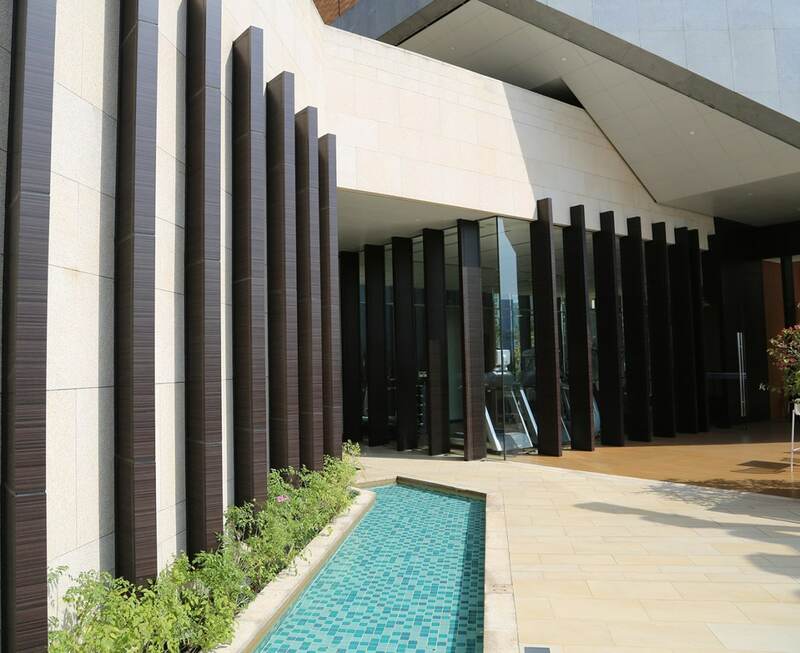 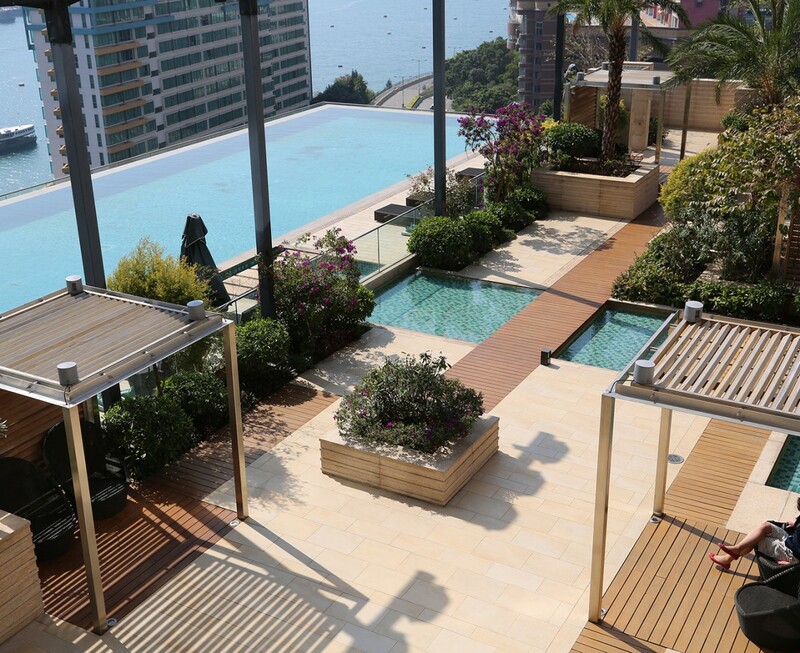 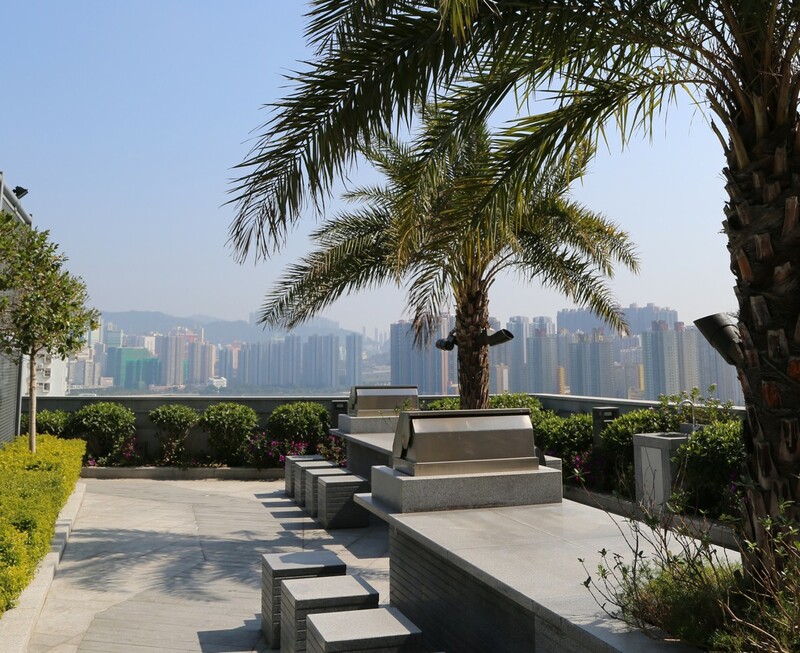 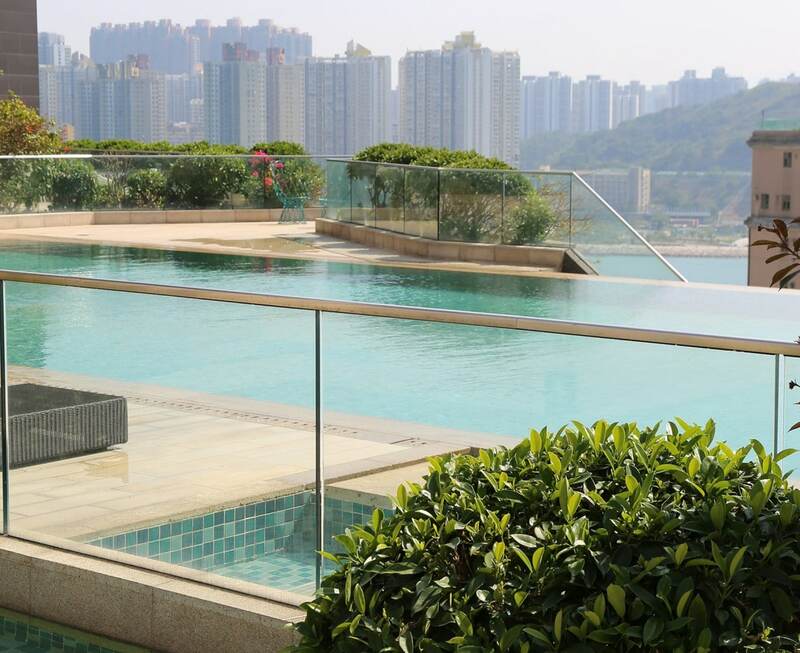 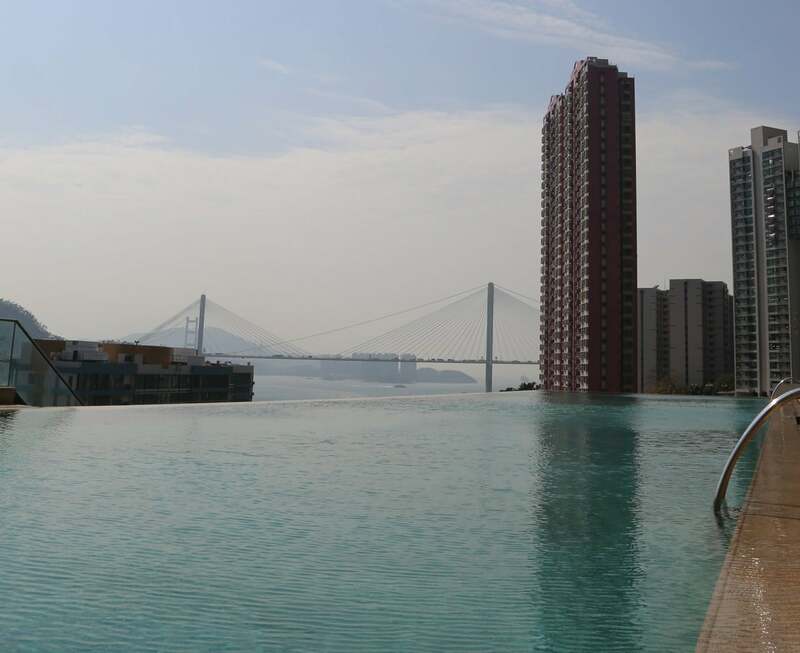 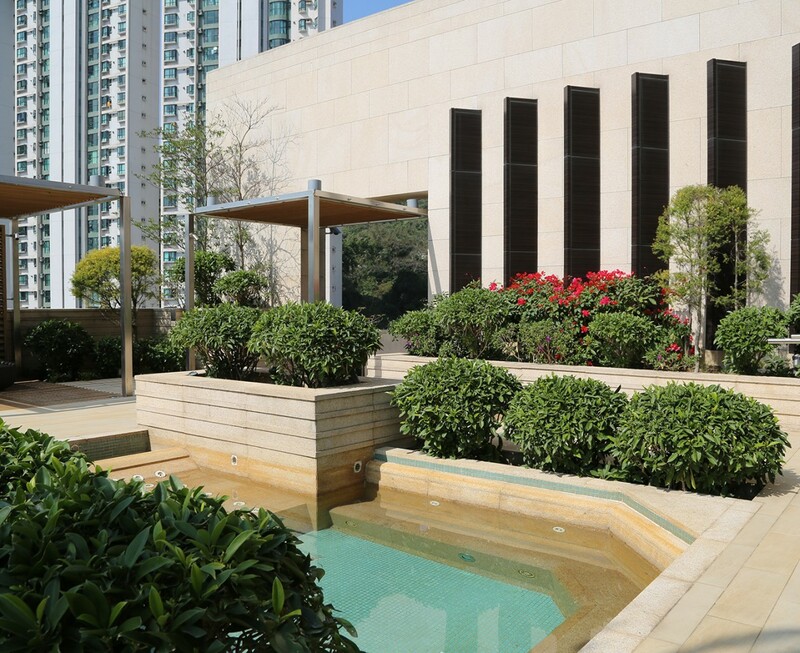 The 180,000 sq ft development consists of 59 luxury duplex apartments looking across Hong Kong Harbour. 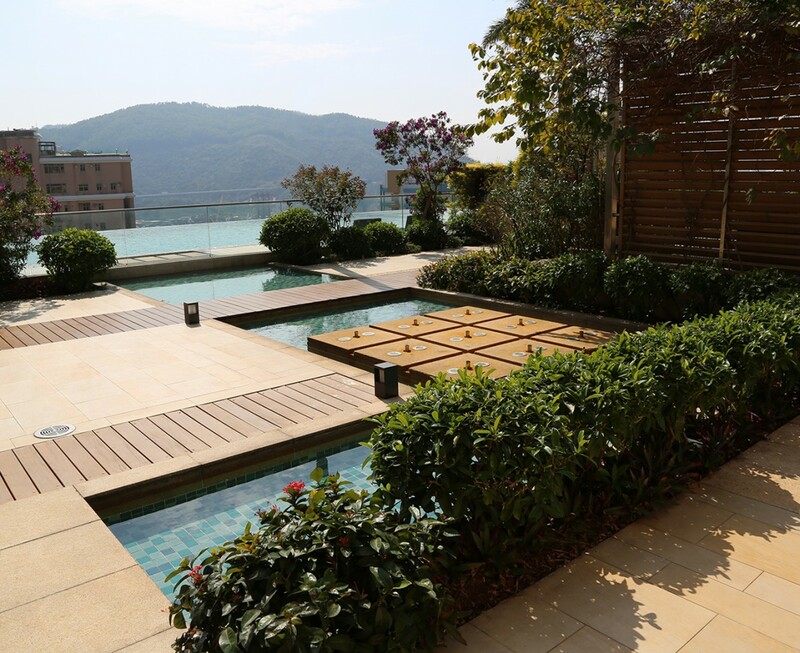 The pool deck has been designed as a continuation of the interior design of the club house and entrance foyers. 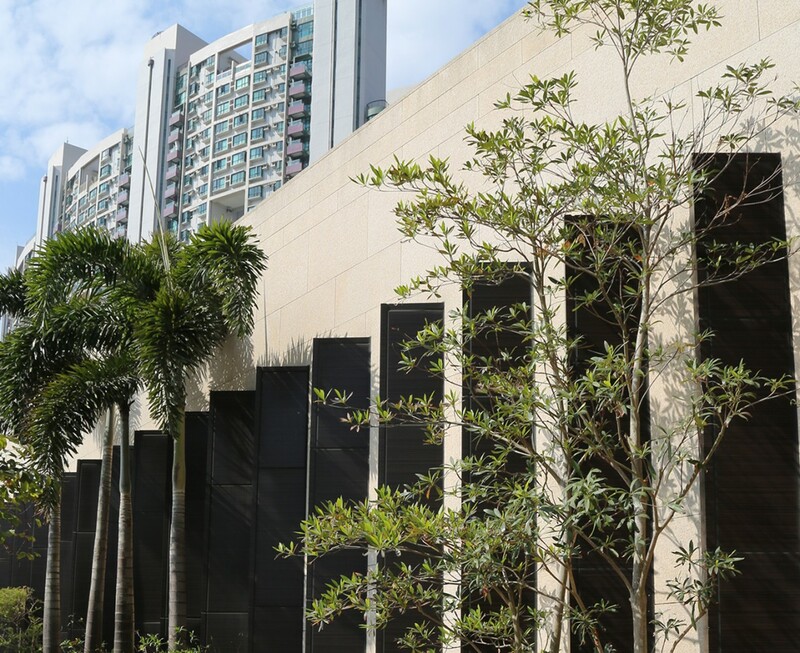 The large vertical louvres extend into the landscape linking the gardens to the striking architecture, creating a strong visual backdrop to this generous outdoor space. 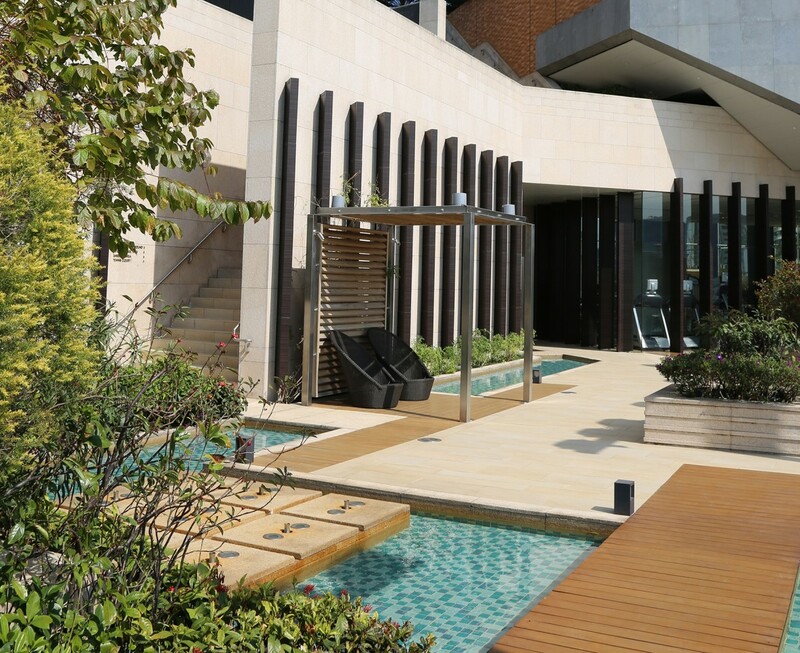 The detailing is crisp, modern and elegant yet has strong influences from the luxury beach resorts of South East Asia. 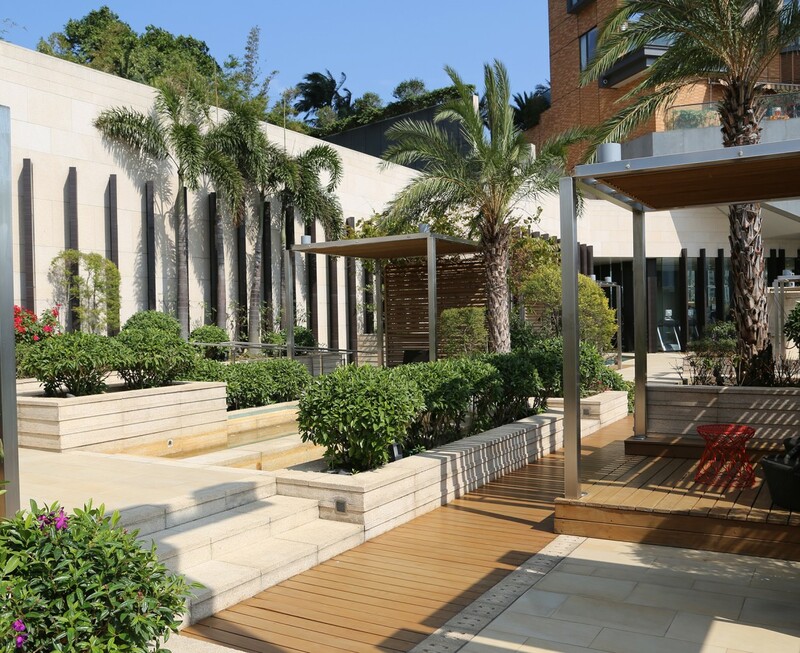 Shade pavilions for massaging or relaxing punctuate the garden to provide a variety of private spaces hidden away from the tennis court, play areas and entertaining zones.